Not totally evident from this photo, but Ruellia macrantha and the very closely related Ruellia neesiana are the only two species thus far known in the genus to have resupinate flowers (look closely and you can see the reproductive parts of the flower oriented 180 degrees from their normal position). These are some extremely showy flowers that I’d quite like to see pollinated (must be a REALLY BIG bee). Ruellia macrantha is wide ranging in the mtns of Minas Gerais and São Paulo. 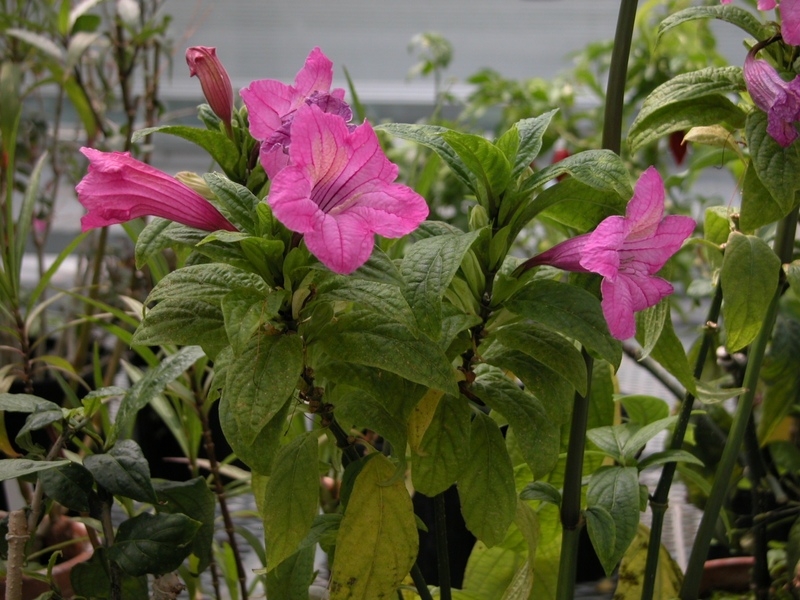 The related Ruellia neesiana (no photo, unfortunately) is allopatric and occurs in the mountains of Goiás. Tremendous thanks to Brazilian colleague Cintia Kameyama for additional information on these species. You can buy seeds from Logee’s, which is swell.